One thing that stands out about the Australian gaming industry is the self-funded Indie developers, who put their heart and soul into every line of code. They know there games inside and out and that passion really shows in the final product. Earlier in the month I met two brothers, Philip and Dimitri Kanis. Together they created ‘The Giant Machine’, an up and coming indie studio that stands on the brink of releasing its first title ‘Last Gun’. 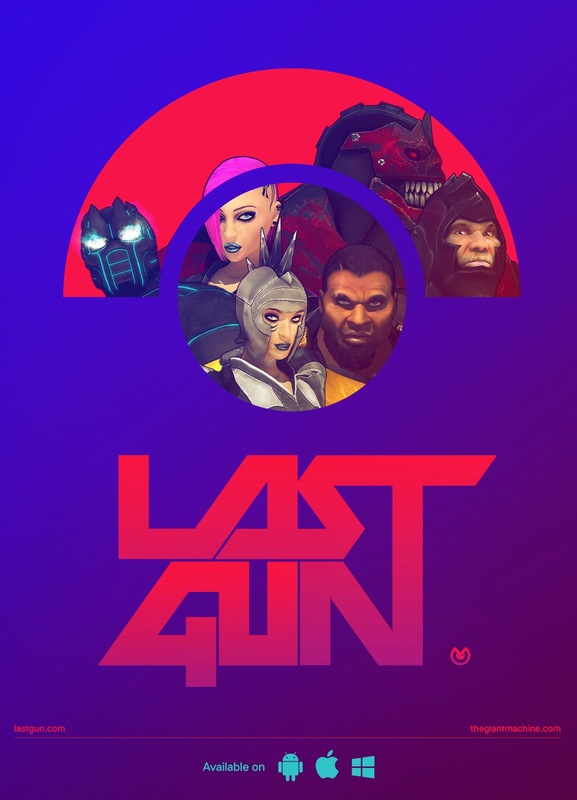 Last Gun is a fun, fast paced shooter crossed with a beat-em-up style 1-on-1 which requires you to think fast and blast your opponent to pieces. Forgoing study I used to make 3d models and levels for Quake 1 every night I was at Uni, loved it. Likewise with Mortal Kombat, I would create character art and make a 40x fighter selection screen. That led to a scholarship at art college and then working in outsourcing art services for over 10 years here and in Vietnam. We did art work for AAA game studios in the US and UK mainly. Who is The Giant Machine? 3 of us - Dimitri Kanis, Christian Le Gall and Philip Kanis. How did The Giant Machine start and where did the name come from? The Giant Machine spawned out of wanting to make a game where I could have a 2min fast-paced deathmatch face to face on a tablet against my brothers. The name 'The Giant Machine' is in reference to the short story, The Last Question, written by Isaac Asimov. In which ultimately there is only one computer in the universe, whose AI has evolved far beyond us. Amazing story. We’re currently finishing up the Android port of Last Gun and then online mode which I’m really pumped for! We also have some other new surprises coming out with the online update. Nothing beats deathmatch on your PC or Console, but those games aren't really convenient for phones and tablets. Last Gun let's me have a quick 2min battle whenever and wherever I like. We call it a Gun Brawler, I think serious gamers as well casuals will like the action, strategy and competitiveness of it. Way back when I had far more free time, I lived for competitive gaming. Mostly Quake 1 & 2, Half Life, Unreal Tournament and fighting games, Mortal Kombat, Street Fighter, Tekken, Killer Instinct - absolutely loved fighting games. So this game is influenced by all those games I played growing up. 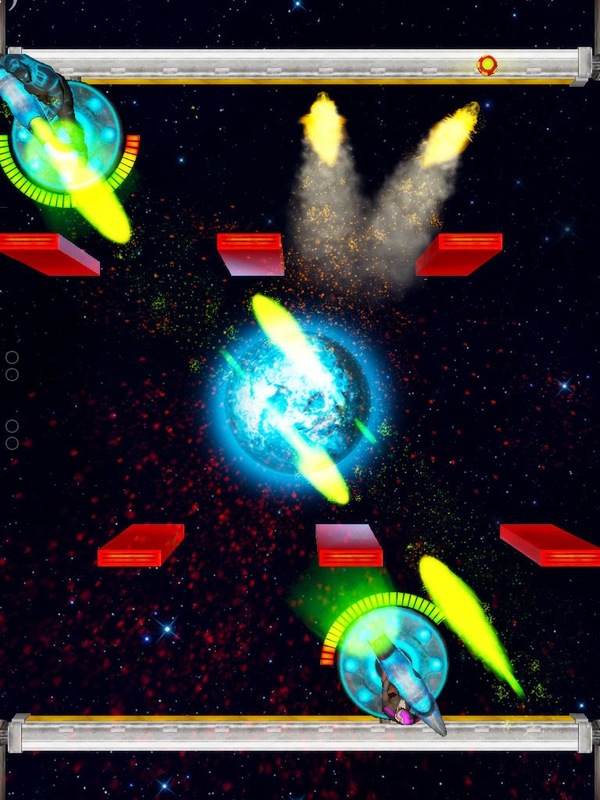 The combat and weapons are heavily inspired by Quake, the round system and game modes by the fighting genre, and the top down perspective by classic tabletop arcade games I played as a child, like Space Invaders and Pong. What were the hardest challenge's when designing the game? Quality of both the art and code were a high priority. Although we're only one artist and one programmer, we set the quality bar really high, so as to be competitive against much larger studios. This was more a time hurdle for us. 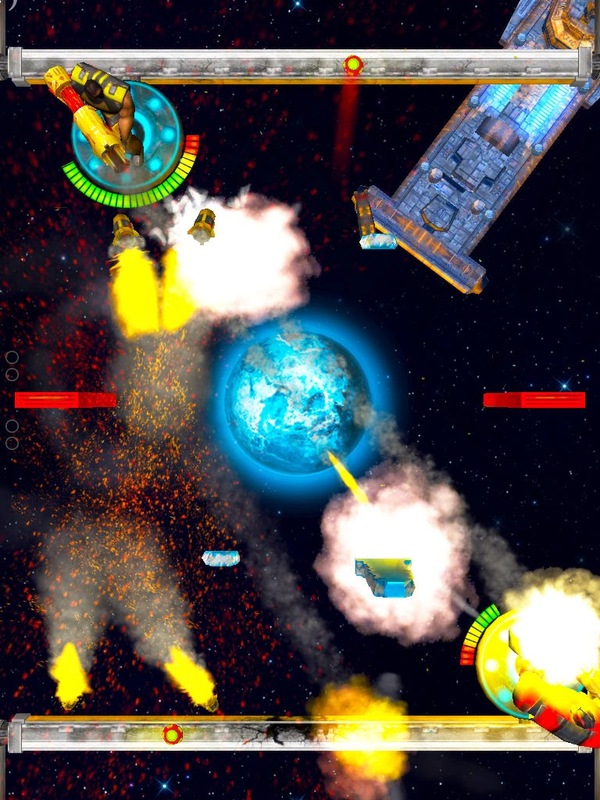 The biggest design consideration was the touch control mechanics. Trying to find the balance between serious gamers and casual ones. We've created a unique touch control scheme primarily for the accurate control it gives you, allowing competitive players to attain really high skill levels while accommodating casual gamers as well. 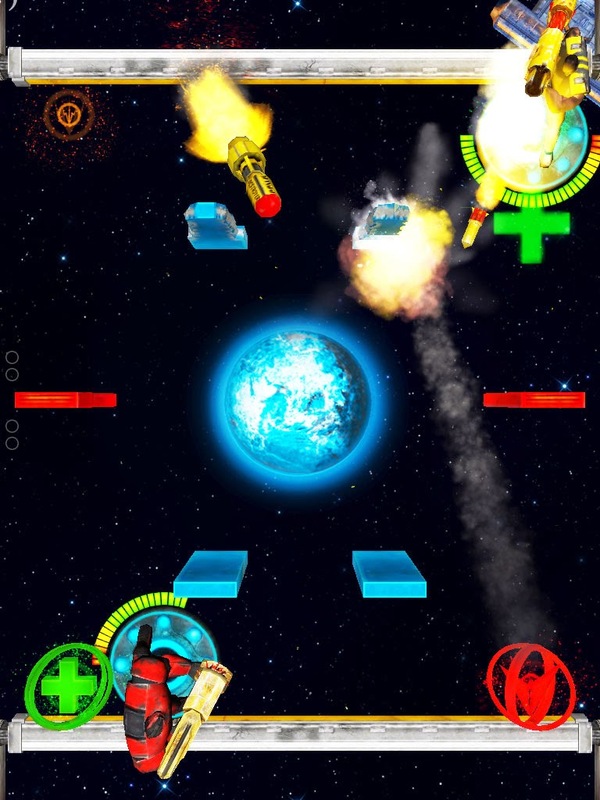 Our goal was for our touch controls to be advantageous over the standard virtual joysticks used by everyone else, like Keyboard/Mouse controls are over a Game Controller… i.e. far more accurate, with a slight learning curve, that rewards you over time. Having said that, you can also play with Keyboard/Mouse and game controllers on the Windows and Android versions if you like. What games made you who you are? 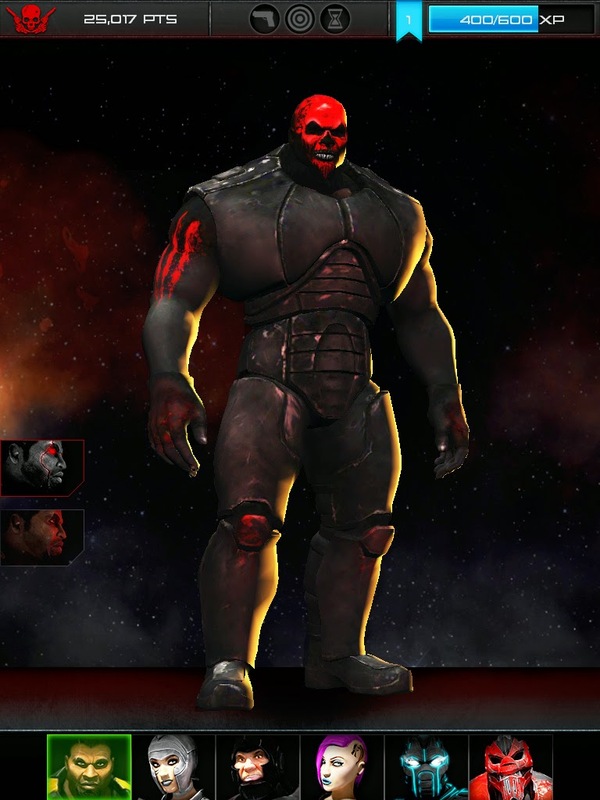 Quake & Mortal Kombat were the two game franchises I was utterly hooked on. In fact, the Last Gun fighters, Sado & Dark Sado, were designed as my idea of Mortal Kombat characters I’d like to play as. There’s a lot of Aussie indie companies, what's the community like? Do you support each other? I had good fortune to meet several developers recently at EBExpo, which was great. Nice, smart, enthusiastic guys and girls. There’s a lot of talent and fantastic people in this industry, and I’m looking forward to getting away from the computer and meeting more of them at PAX and GCAP in Melbourne next week. Regarding support, along with partners, we are working on something that is going to really help indie devs, which we'll be announcing in the near future. How do you feel about the Aussie market? It’s unfortunate that the Aussie AAA studios have all but died. I’m hoping that along with other indie studios, we can make the next step, build a successful game company that develops great games, can employ lots of local talent and really boost the Australian game industry. We’re on the cusp of some fantastic new platforms & devices reaching real consumer adoption, Virtual Reality, Augmented Reality & Wearables…which means along with mobiles, tablets and desktops, there’s a massive amount of opportunity for Aussie companies to succeed on the world market. Yes, many . We’ll be announcing our new title in development soon. 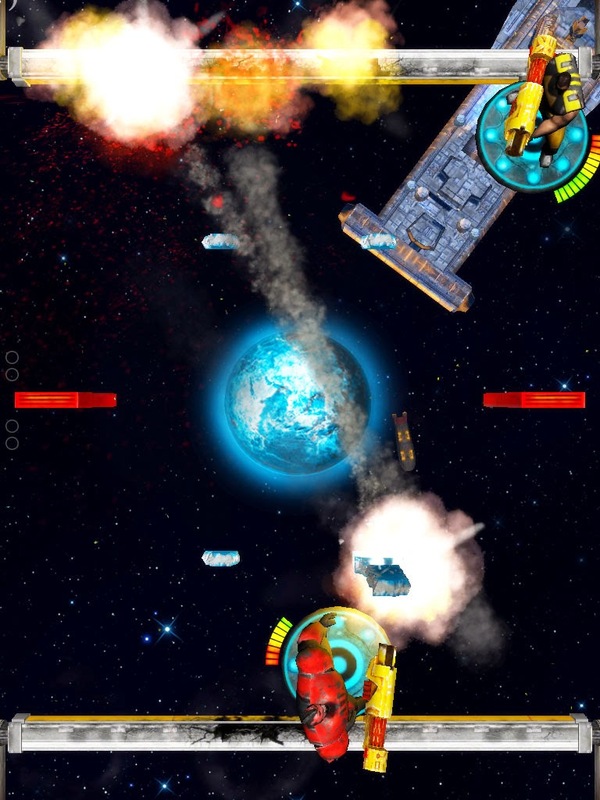 Keep an eye out for Last Gun in the App Store at the end of the month.